Please welcome Chrysler Szarlan to The Qwillery as part of the 2014 Debut Author Challenge Interviews. The Hawley Book of the Dead is published on September 23rd by Ballantine Books. Please join The Qwillery in wishing Chrysler a very Happy Publication Day. Chrysler: It’s a pleasure to be here, in the virtual world of The Qwillery. Thank you for having me. I love virtual worlds, after all, and write of them often. I began writing as a kid. I wanted to be an actor or a writer; I used to pen poems and stories about horses and put on plays in the back yard for an audience of stuffed animals. My parents were always too busy to attend as they had to work hard to keep me well supplied with books. Chrysler: Oh, definitely a pantser. My characters tell me what to write. I can’t do anything without them. 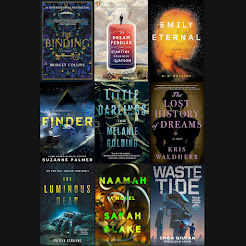 I’m actually not sure I would write with any regularity, only I’ve somehow, luckily, managed to tap into this very cool world that’s half real and half fantasy, with all these brilliant characters who spur me on. Chrysler: Revising. Because after they tell me their stories and a little bit about themselves, my characters head back to the western Massachusetts hilltowns where they live and leave me to it. They run off to ride their horses in the cool haunted forests of Hawley, and hang out at Pizza by Earl or the Perpetual Tag Sale, and have all kinds of further adventures with evil magicians, and I get stuck messing about with bits of paper filled with their thoughts that I then have to sort out and make some sense of. Chrysler: The list is really endless. I love the creepy New England writers so much I had to become one. Nathaniel Hawthorne and H.P. Lovecraft and Shirley Jackson and Stephen King and Alice Hoffman and early Annie Proulx—before she moved to Wyoming, she lived in Vermont and wrote brilliantly and creepily of New England. And I’ve always loved the nineteenth century Brits, especially Charlotte Bronte. She was pretty creepy, too (what is a Gytrash, does anyone know?). And now, I work at an amazing indie bookstore, the Odyssey Bookshop, and I help choose the First Edition Club picks, so I’m always getting to read brilliant writers I hadn’t read before: Cynthia Bond and Emily St John Mandel and Lauren Francis Sharma and Jess Walter and John Vaillant, and the new books of my old favorites, Ruth Ozeki and Julia Glass and John Irving and I could go on, but suffice it to say my favorite writers remain, in no particular order, Annie Proulx and Stephen King and Louise Erdrich and Barbara Pym, whose books I read when I am anxious. TQ: Describe The Hawley Book of the Dead in 140 characters or less. Chrysler: A woman magician with real powers is the reluctant heroine, a wife and mother, who must fight an unknown evil nemesis in a haunted forest. TQ: Tell us something about The Hawley Book of the Dead that is not in the book description. Chrysler: It’s the first in a series called The Revelation Chronicles. I think that’s the most important thing that gets left out of many of the descriptions of the book, oddly. 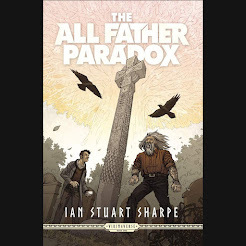 And there’s falconry and Irish mythology in it, too. But it’s subtle in this book. This is not high fantasy. Not yet. 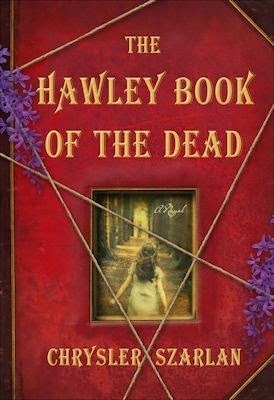 TQ: What inspired you to write The Hawley Book of the Dead? Why did you set the novel primarily in Massachusetts? Chrysler: So many things inspired me and allowed the characters to come to me. Riding my own horse in the actual Hawley Forest. The title, which I had stuck in my head for years before I found its story. Reading Robertson Davies, and his very cool Deptford Trilogy, which is about magic and a magician (also saints and rural Canada). NaNoWriMo (that’s the very cool National Novel Writing Month) inspired me. But I guess just living in the hilltowns, among the people and the landscape. That’s what inspired me the most. I have this whole half real, half fictional world going now, with all its characters. And I can’t stop writing about them. And we all just live here, in western Massachusetts. It’s a magical place. After all, so many writers lived here and got inspiration from the landscape and the people – Emily Dickinson, Hawthorne, Melville, Robert Frost, Richard Wilbur. It’s kind of a mecca for writers. TQ: What sort of research did you do for The Hawley Book of the Dead? Chrysler: I got to go to Las Vegas. Everything else I just kind of knew. I know western Mass and the people who live here. I know enough about Irish mythology, as I’ve spent a bit of time in Ireland. But I didn’t know much about magic, and the history of magic, despite being a magician’s assistant for about two minutes in the ‘80’s (I was terrible). I really only started researching stage magic when my heroine, Reve, told me she was an illusionist in Las Vegas. I actually hated the thought of going there, it was never a place that held any attraction for me. But it was amazing. It was this over the top city springing up from the desert. It was actually about five cities, Paris and Venice and Cairo and New York and Florence. And it is the city of magic. 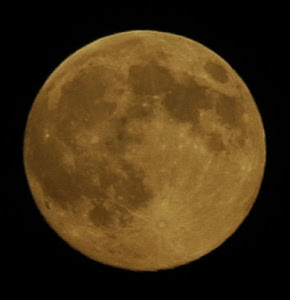 I had an amazing time there, in the city and the surrounding desert. There’s real magic there, as well as in Hawley. Chrysler: The easiest was Caleigh, I think. She is the most direct, maybe because she is the youngest. She’s very open. Reve was really hard. She has these different personas; there are different levels to her. The wife and mother. The performer. The woman with a special power that she doesn’t want to give any room to in the real world, because she’s afraid of it and it has burned her in the past. And she is also the character of mine who is most like me. Not that I have a super-power, but we see the world in the same way and have similar ways of expressing ourselves. I didn’t even see it until a good friend pointed it out, though. 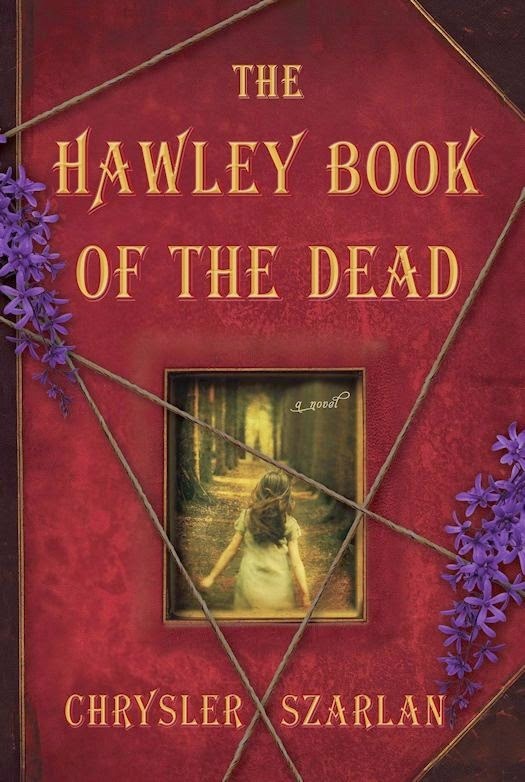 TQ: Give us one or two of your favorite non-spoilery lines from The Hawley Book of the Dead. Chrysler: Well, the first sentence is kind of cool: “On the day I killed my husband, the scent of lilacs startled me awake.” A lot of people seem to like it. Chrysler: The second book in The Revelation Chronicles, which is so far called Dreamland. It’s the further adventures of Reve and her daughters. Chrysler: Thank you so much for welcoming me to your world! Chrysler Szarlan lives in western Massachusetts with her family, works part-time as a bookseller at the Odyssey Bookshop, and rides her horse in the Hawley Forest whenever possible. 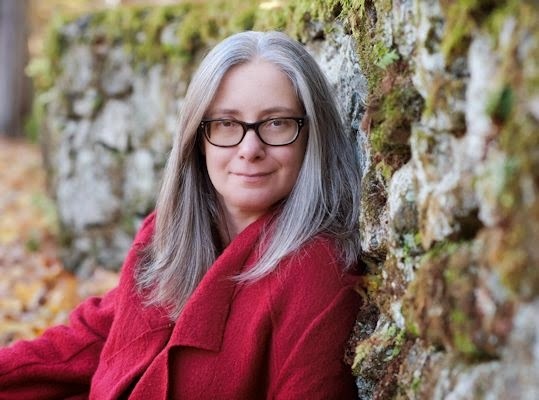 An alumnae of Marlboro College, she jogged racehorses and worked as a magician’s assistant before graduating from law school, after which she worked as a managing attorney with Connecticut Legal Rights Project. She is deep into her next novel.